Woodturning is not only an art but at the same time it’s also a skill, and because of that, a lot of people are interested in mastering it. However, if you never used a wood turner before, you should know that the use lathes that vary in size and can create wonderful turnings made of wood, including bowls, table legs, lamps, pens and so on. 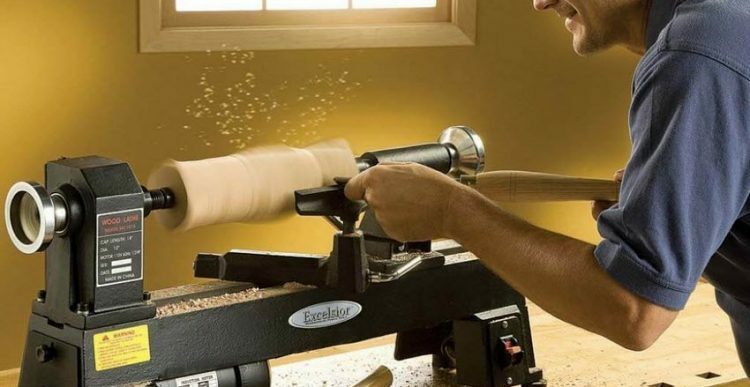 But if you’re a novice when it comes to wood turning, one of the first things you’ll need to do is choose a good wood lathe, so let’s take a good look below on how to choose the best wood lathe. One of the most important factors that are going to influence your decision of choosing the best wood lathe in spite of another is the types of projects you’re going to consider. 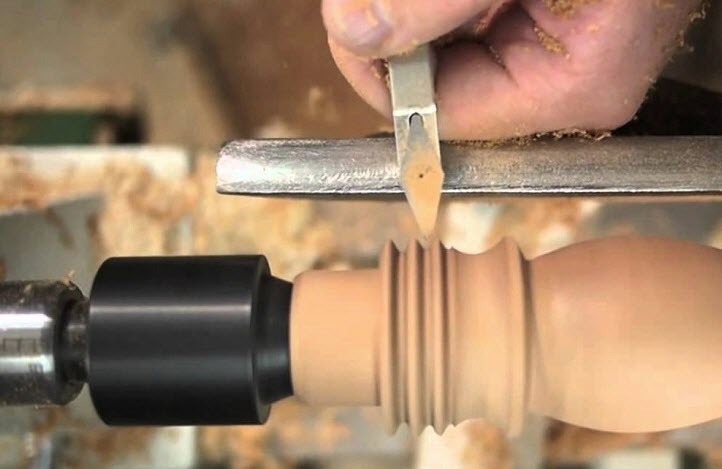 For instance, if you want to make small wooden objects, including toys or pens, then you should go for a tabletop lathe. On the other hand, if you plan on making lamps and tables, then a well built cast iron or steel lathe is recommended. If you ever saw a wood lathe at one of your friends or maybe in a showroom, you already know that these are large pieces of equipment that do take up quite a bit of space. On top of that, they also need a lot of space when being turned, so you need to have a pretty large room if you want to get one and use it comfortably. The good news is that lathes are measured in inches which can easily help you when it comes to buying one that suits your needs. The most common wood lathe size is twelve by thirty-six inches, and one such model will easily turn a piece of wood that is thirty-six inches in length and twelve inches in diameter. Also, when it comes to wood lathes, bigger is generally better since it improves the versatility of the machine. If you aren’t sure about the types of projects, you’ll want to use your wood lathe for, make sure you get a bigger one to be safe. For more intersting tips, visit this website. There are 2 ways that a lathe can turn wood and they include using an electronic speed drive or with manual adjustments. Now when it comes to this, it all boils down to personal preference. The electronic speed adjustment is simpler to use and also faster, while the manual one is more accurate, but demands more skill and time. Last but not least, the accessories the wood lathe comes with are very important, since you don’t like to shop for the ones you need when you have an urgent project to complete. It’s best that you go with a wood lathe that doesn’t feature uncommonly sized tapers and spindle threads, since finding accessories for it can prove to be pretty difficult. All in all, these are the main things you need to consider when you want to buy a wood lathe. By keeping them in mind, you’re certainly going to find the best model for your needs and one that doesn’t break the bank, too.